Spaghetti Bolognese is one food kids love and it is just good old plain spaghetti cooked and tossed in a flavourful combination of minced meat, tomatoes and spices. This sauce doesn’t take forever to prepare and the delicious meat clusters make it a meal that your kids will definitely enjoy too. 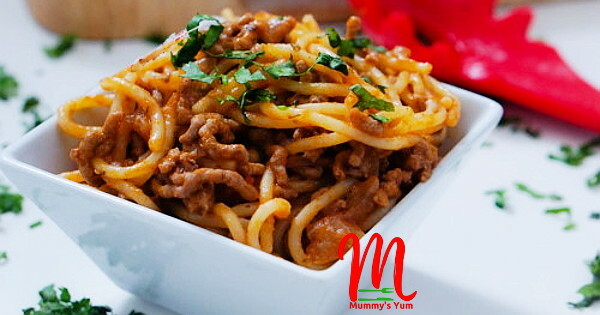 The ingredients are easily sourced and bolognese sauce can be used to eat other foods like rice, plantain, potatoes etc. If you cannot get minced meat (ground meat), you can substitute by dicing beef into very small pieces or otherwise you can try making your own ground meat. Cut into small flat pieces, use a hard object to pound the meat to make it soft, then grind in your food processor. You can also add vegetables like carrots to the sauce or mix in green veggies like ugu immediately after cooking the sauce. Put tomatoes, half of the onion, ginger, and scent leaves int a blender and puree until smooth. Place a frying pan on fire and add the oil. Once it is heated, add the garlic and the remaining onions (chopped finely), then saute till translucent. Add the minced meat and stir to combine and cook till the beef browns all over. Pour the blended tomatoes into the beef and add the remaining ingredients. Pour in a cup of water and cover to cook for at least 25-30 minutes. Add a bit more water if needed. Once cooked, you will will get a thick looking tasty sauce. Check for taste and bring down. Meanwhile, boil water and cook your spaghetti with a little salt till it is done, then drain. To mix your bolognese sauce with the spaghetti, scoop some of the sauce into a pot of spaghetti and set on medium heat. Combine well, simmer for a few minutes and bring down. Make some, take pictures and tag Mummy’s Yum on Instagram. 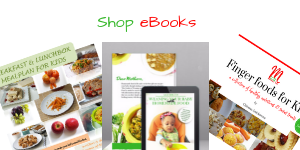 Try other pasta recipes and do leave a comment…i appreciate them.